One hundred years ago, on 11 November 1918, the First World War came to an end. To mark this historic anniversary, 62,000 handcrafted poppies will be displayed in the grounds of the Australian War Memorial, representing Australian lives lost during the First World War. 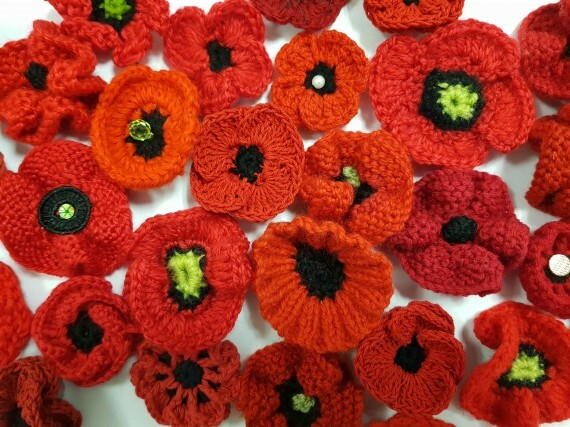 Buy a beautiful bunch of hand-knitted poppies, as a memento of the Centenary of Armistice commemorations, and as a lasting tribute to the fallen soldiers of the First World War. Available in a bunch of five, each poppy is finished in vibrant red tones complete with green stem (hand-stitched onto a wooden skewer). 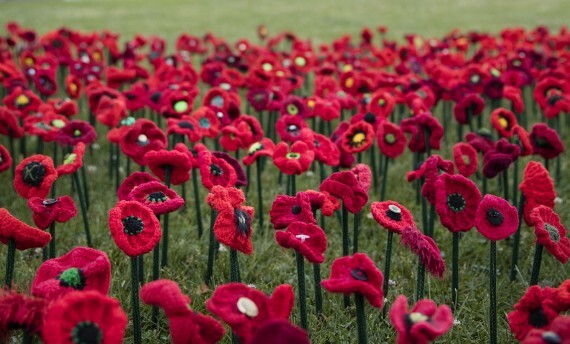 These handmade poppies have been lovingly created by volunteers across the world as part of the 5,000 Poppies Project. Dimensions: each stem is approx. 30cm tall. 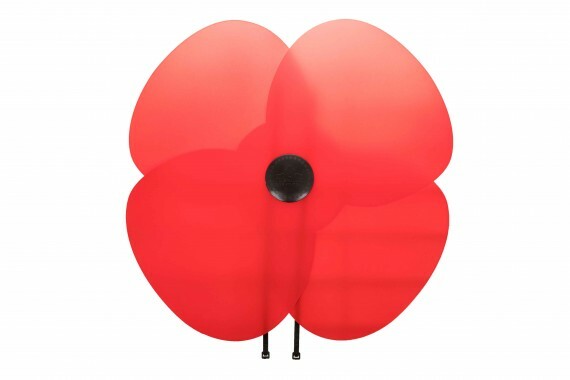 Each poppy has been individually handcrafted, so variation (in colour, size, and finish) will occur. 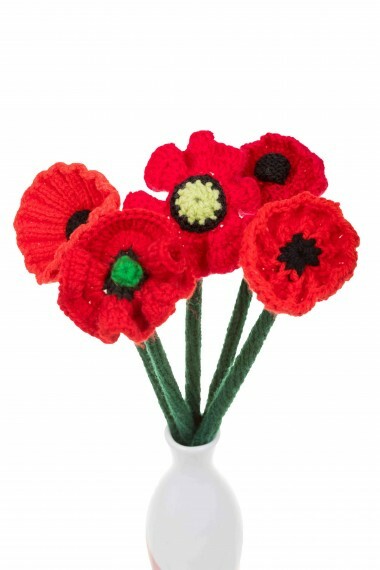 Poppies purchased online will be selected at random. Condition will vary for poppies displayed outdoors. These poppies have been exposed to the weather for 6 weeks, so they may be slightly faded, frayed, and/or contain traces of soil. All proceeds from the sale of these poppies will be donated to Legacy Australia, who support more than 60,000 beneficiaries suffering as a result of injury or death of a spouse or parent who serve or have served in the Defence Forces. AVAILABLE FOR ONLINE PURCHASE NOW - $20.00 per bunch incl. postage. Poppy bunches will be dispatched after Remembrance Day. If you wish to pick up your order from the Memorial you will be notified by the eBusiness team when your order is ready for collection. 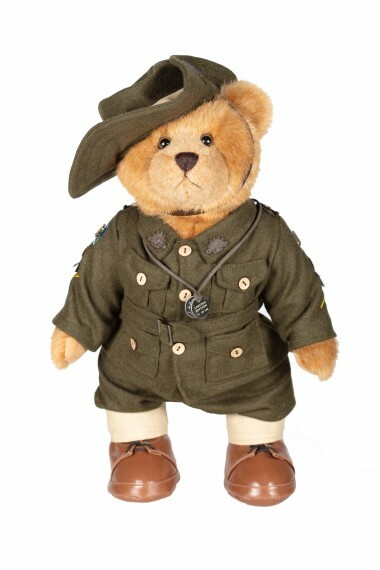 As featured in the Australian War Memorial Education Resources 2019 brochure. No further discounts apply.